“INKSYSTEM” Company operates in 7 countries with more than 150 regional dealers. Here you can know more about CISS (Continuous ink supply system), ink-jet printers, all-in-one devices or plotters with pre-installed CISS, refillable cartridges, ink, photo paper, and other spair materials for Epson, Canon, HP, Brother, Roland and order them in our internet shop. The manufacturers of printers increase the cost of original cartridges in tens of times because they understand that there is no alternative to buy cartridges of other manufacturers after you buy their printer. But now you have an opportunity to think about the printing prime cost of the printing device that you are going to purchase. 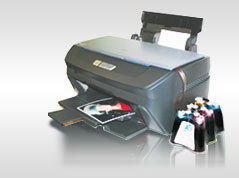 It is often very important to have a printing device always ready at hand and for reasonable money.